What a nice surprise! 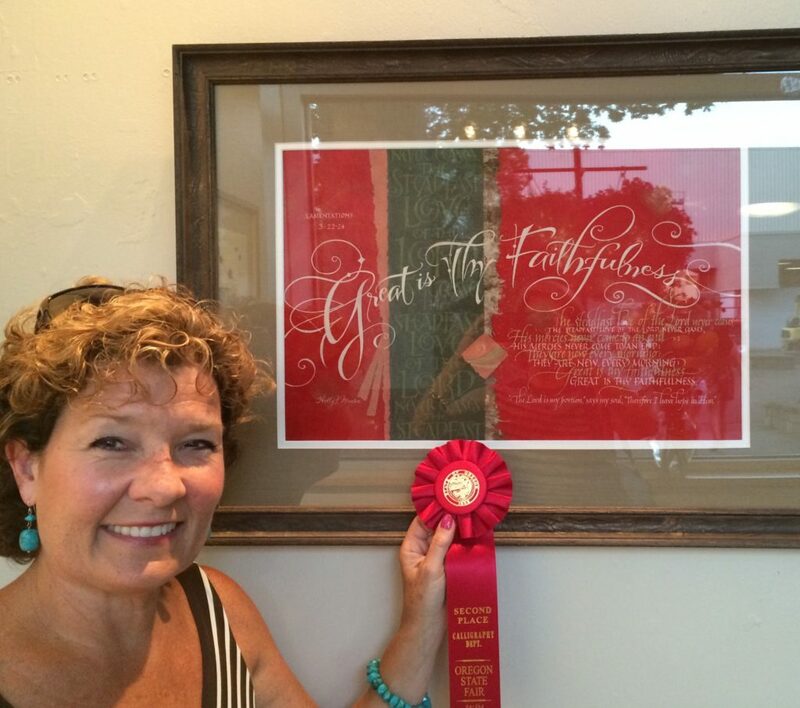 Last Friday night I was awarded Best of Show at the Oregon State Fair 2017, Calligraphy Division. The cash award made it an even sweeter win. 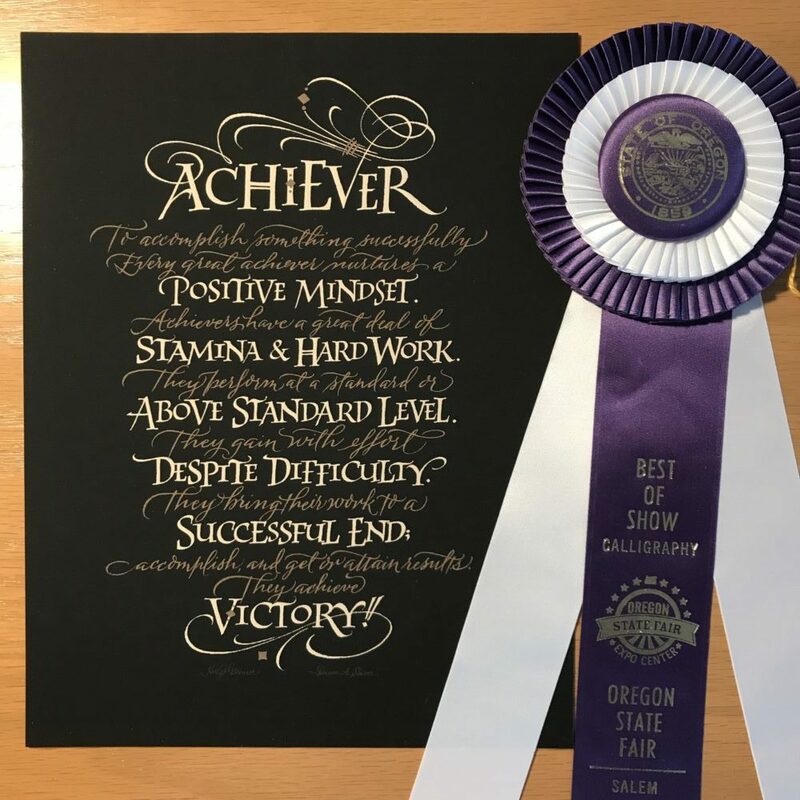 To submit an entry to the Oregon State Fair, the calligraphy has to be created within the last 2 years. That is always a challenge for me, since so much of my work goes directly to my clients. 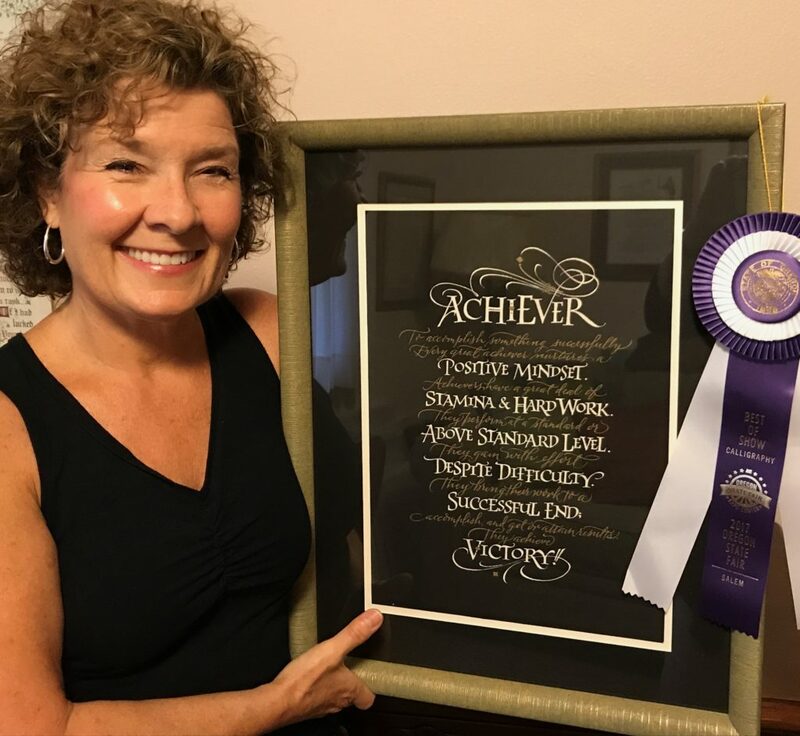 My assistant, Heather Barton (who is also a calligrapher and prize winner), remembered that I had the ‘Achiever’ original remaining…..scroll down…. ‘Achiever’ was a piece that I completed for Mason, Ohio, client Dawn Shiver this past winter. She and her husband own Shiver Security Systems, Inc. in Mason and were looking for some special awards for their top salesmen. Dawn commissioned me to rework the wording and create the artwork, which was later scanned, retouched, color altered and finally high end reproductions were printed one at a time from my Epson R3000 printer on Entrada digital paper. The original was created on D’Arches black 140# paper, with tinted Dr. Martin’s bleed proof white to help the capitals pop. Brown gouache was added to my gold Winsor New metallic gouache to give the script more of a bronzed look. Fabulous Frames in Cincinnati, enhanced the awards with beautiful frames. DesignSource in Oregon, framed the winning original. Shortly before I left for Cincinnati (to paint the church wall in my post below), the Oregon State Fair was taking place. The calligraphers in the area from the Portland Society of Calligraphy, Salem Capital Calligrapher’s and Valley Calligraphy Guild and others from around the State submit their calligraphy designs for display at this event. The guilds select judges and Honorable Mentions through 3rd, 2nd and 1st place awards are given. I was honored to receive a second place ribbon. 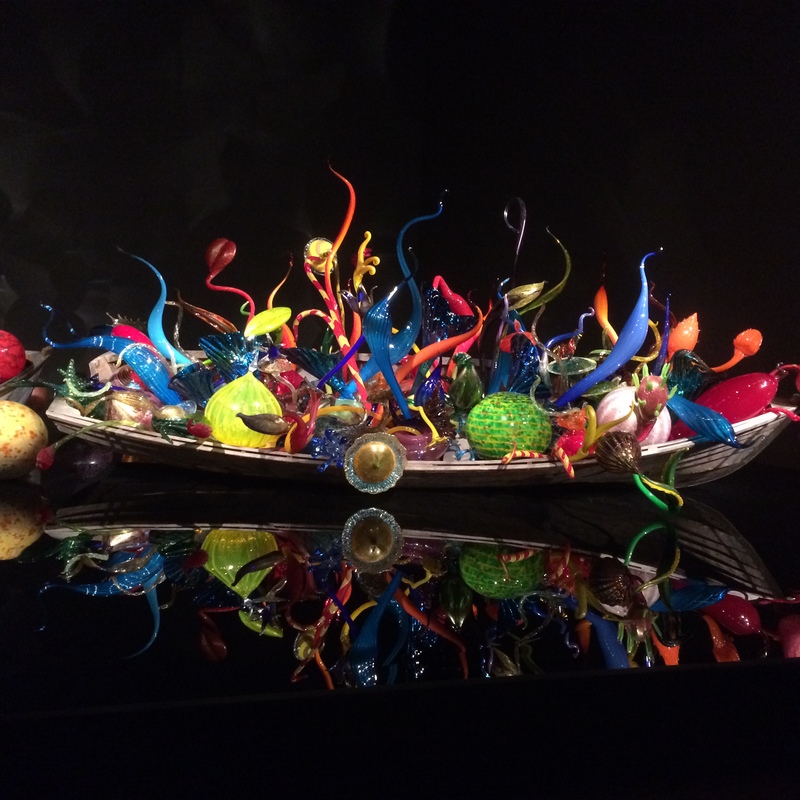 Thank you to the judges, the guild members who sponsor this and to those who came to view. My father, Cliff Mansley, Sr. took honorable mention for his Physicians Prayer. This design is my original of the hymn “Great is Thy Faithfulness” with references to Lamentations 3:22-24. It is a collage of paste paper (red), Indian Bark paper, other handmade papers, Dr. Martin’s white and gouache. 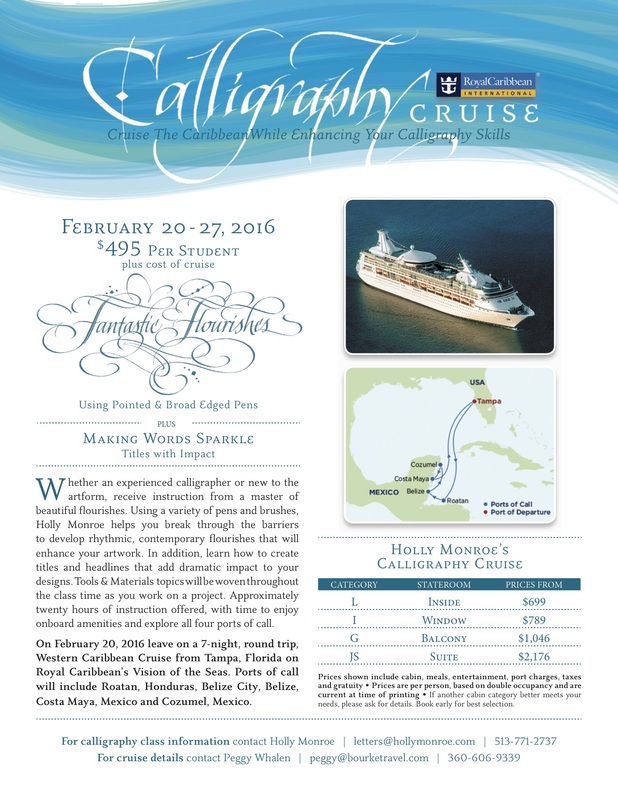 Come join me and others as we sail to the Caribbean for fun, sun and to enhance your calligraphy repertoire of skills. Calligraphers and NON-Calligraphers, all welcome -Friends and Relatives, spouses and significant others. We are changing cruise lines this time to Royal Caribbean as Holland America sold out the route and week we initially chose. Details are on my flyer above, which can currently be seen on my FB page and in the SHOP on my website. Correct information will soon appear on my CLASSES section. The wrong date is on my Home page and will be corrected. 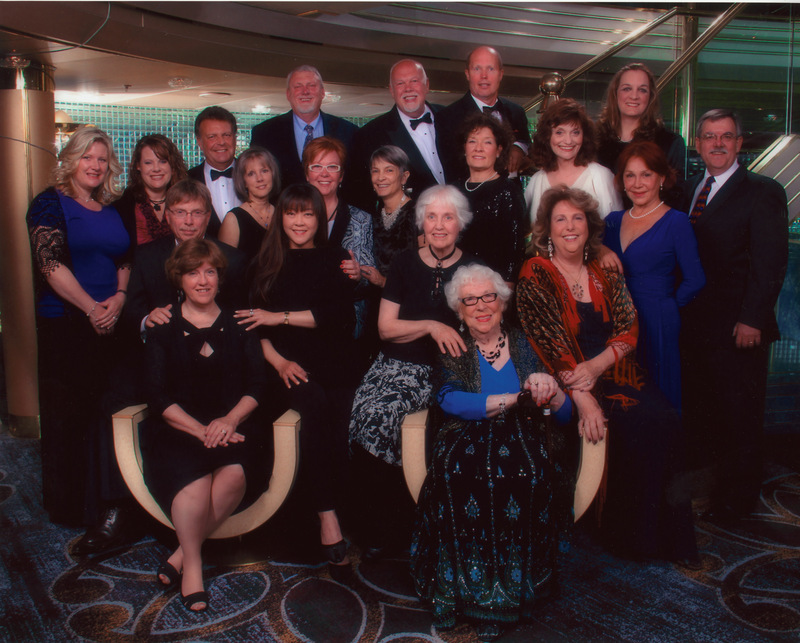 The correct sailing dates are February 20-27, 2016. $100 deposit will hold your place in the class. Book early for best cabin selection. 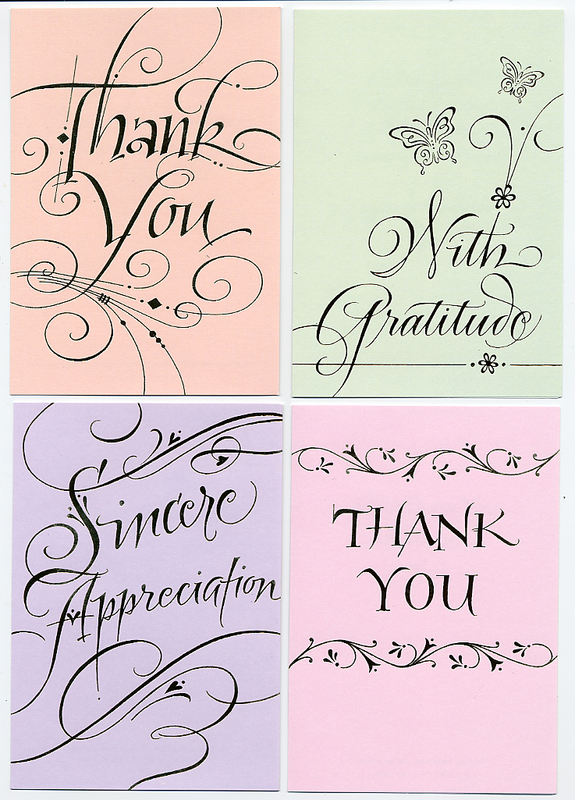 My art director, Susan Birnbaum, DesignDesign Inc., has started a movement for being thankful! 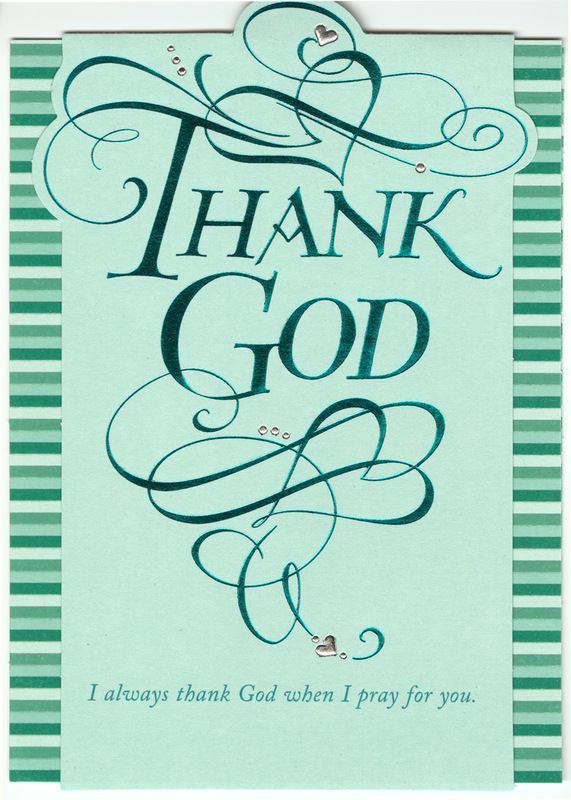 She calls it, “Thank You THURSDAY” It’s a day every week, to specifically remember family and friends who have expressed kindness to you in any way with a handwritten greeting card. 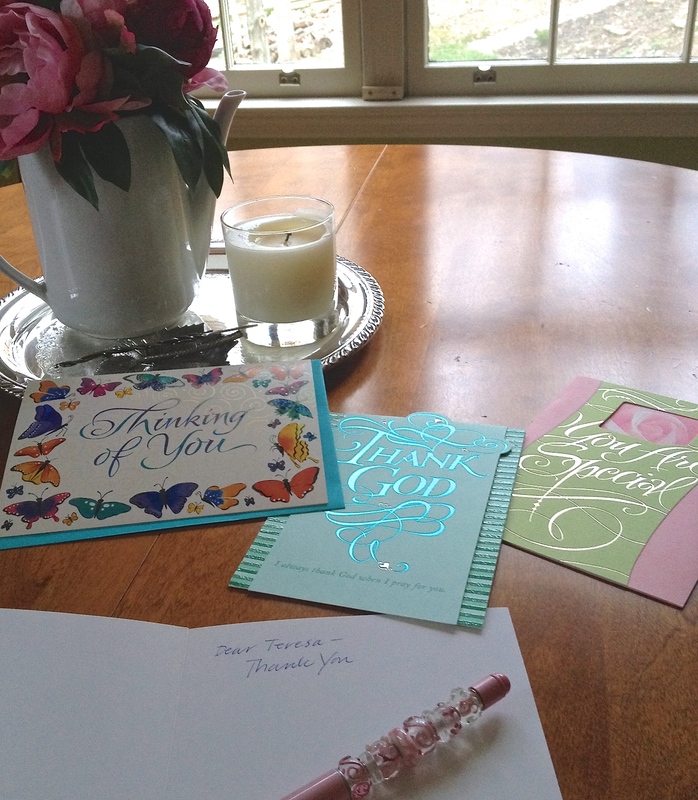 Personally, I place greeting cards at my kitchen table, with lovely complimentary stamps, so I’m ready to write! 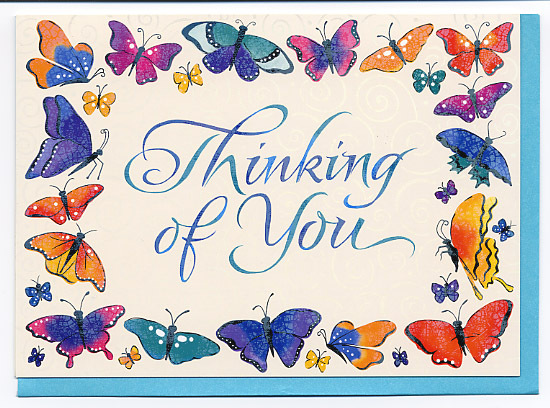 The butterfly card, is published by DesignDesign. The variegated letters are formed by dropping watercolor into the wet letters, a technique that I’ll be demonstrating at the IAMPETH conference in Indianapolis, Thursday, August 7th – Round Robin evening event. 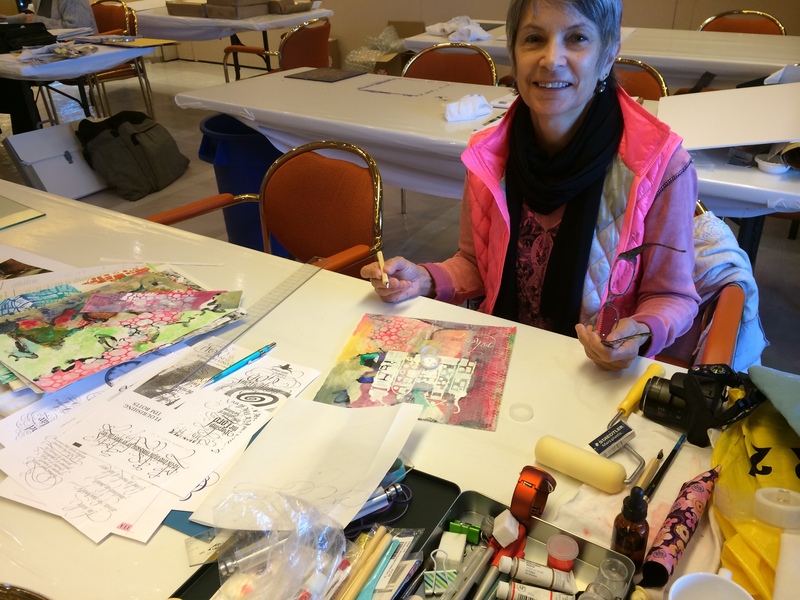 You can use any number of papers but Lanaquarelle or Arches Cold Press watercolor paper work very well. I typically use Winsor Newton or M. Graham watercolor and love the vibrant results! 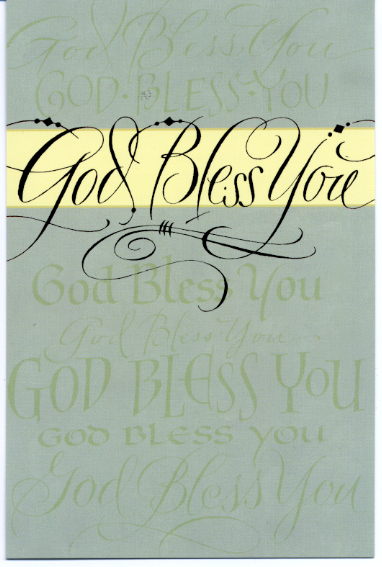 Below are several greeting cards that I’ve designed for DaySpring. All in black and white until their printers stamped foil on the colorful backgrounds. The greeting cards can be purchased in my SHOP under the Card category. 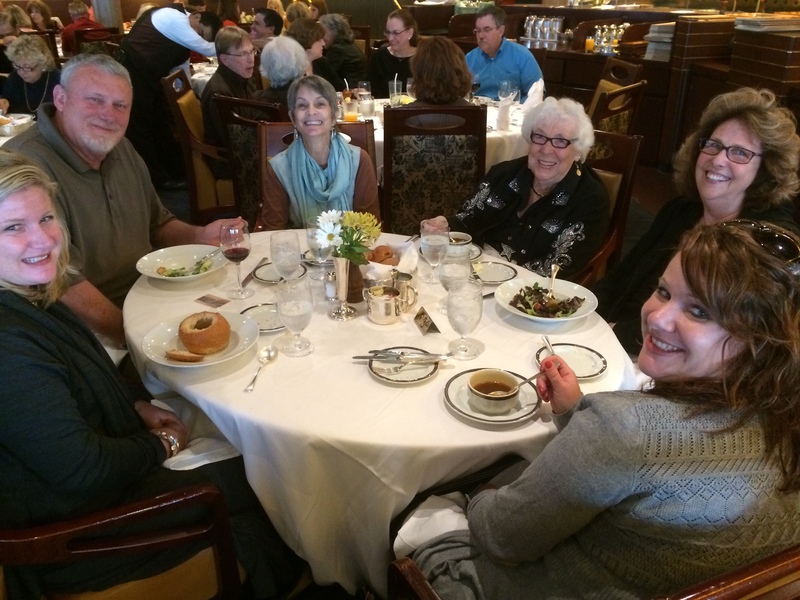 Calligraphy Cruise Alaska 2014 – A good time was had by all! 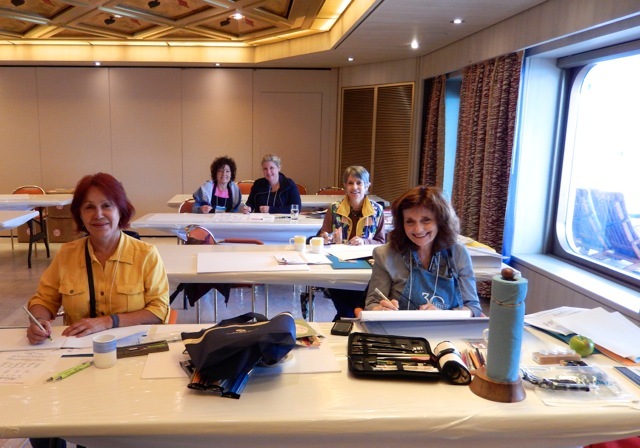 This June 21-28, 2014 we took our calligraphy pens and brushes onto Holland America’s msWesterdam and journeyed to Alaska’s inner passageway. 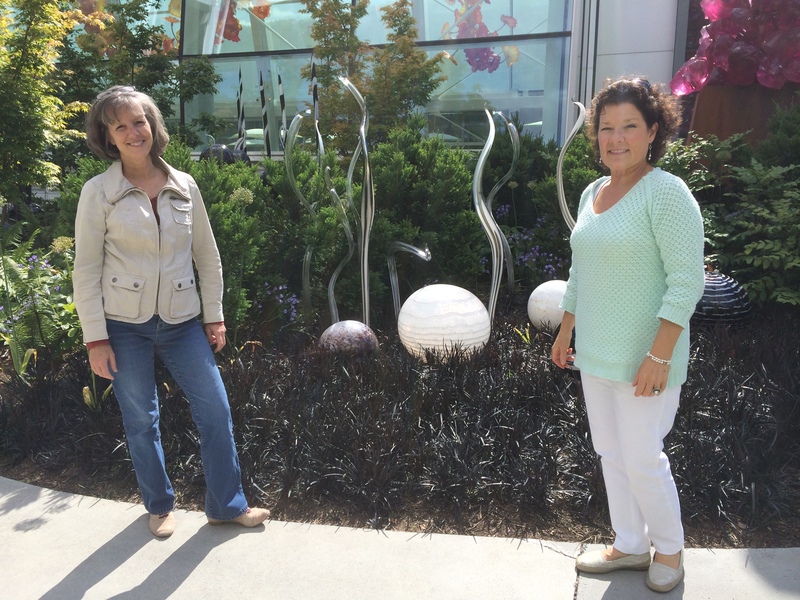 What a treat to enjoy our artistic endeavors in the lap of luxury! 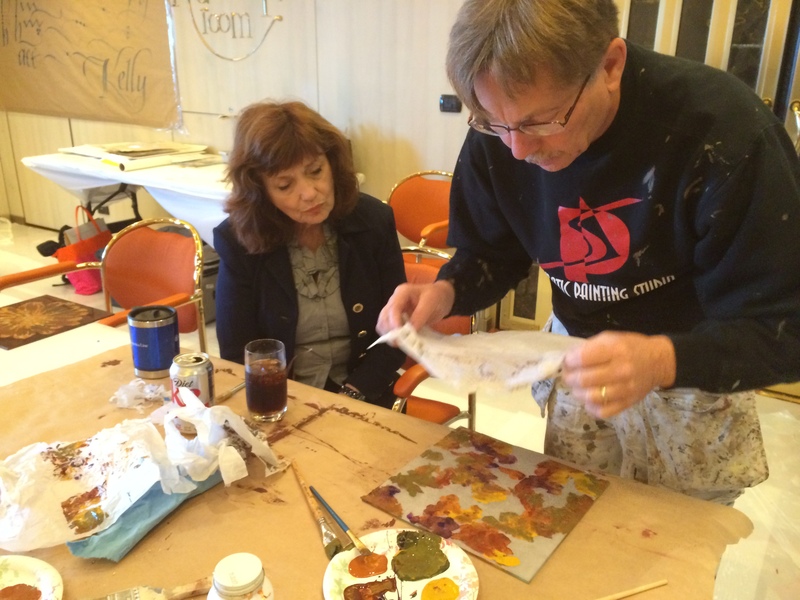 Holly taught Flourished Italic while Gary Lord taught Decorative Painting on Glass. 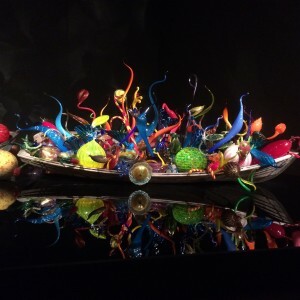 Students combined the two skills in their final projects. 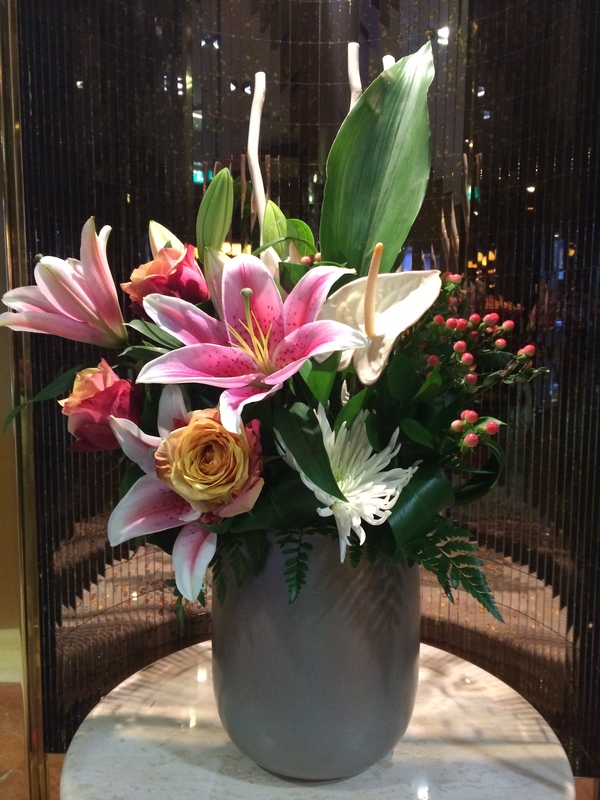 Come take a peek – I’ll share a few pictures with you! 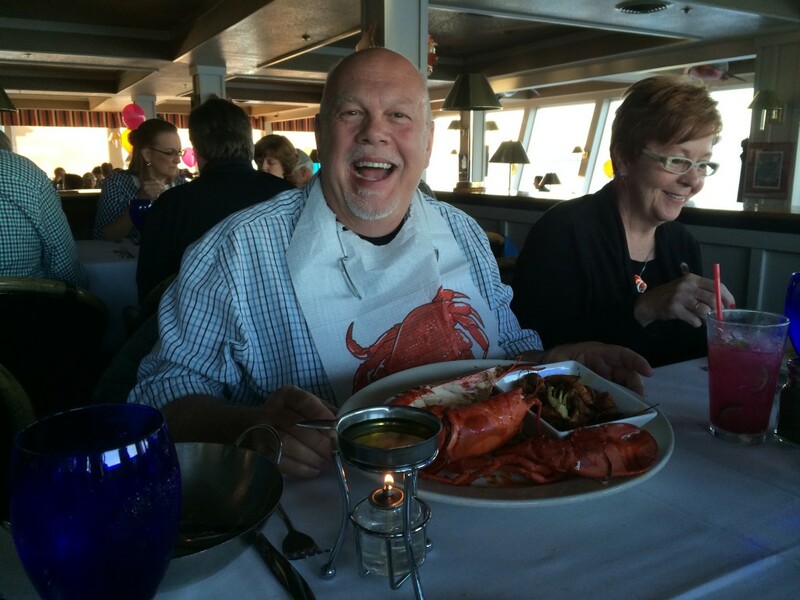 Get on my email list if you would like to join me on a future cruise adventure! 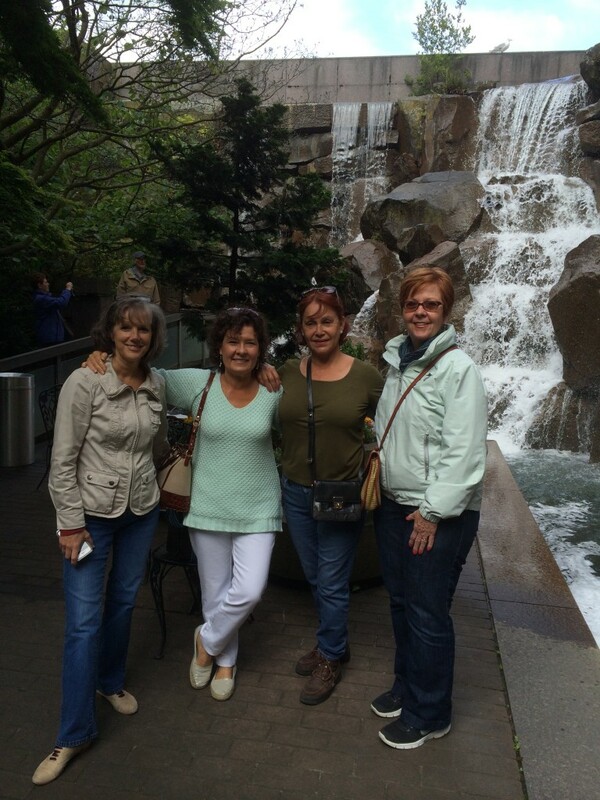 Thursday, before our Saturday sail away, we met at a downtown Seattle hotel and enjoyed some time getting to know each other. There were 22 total in our group this year! 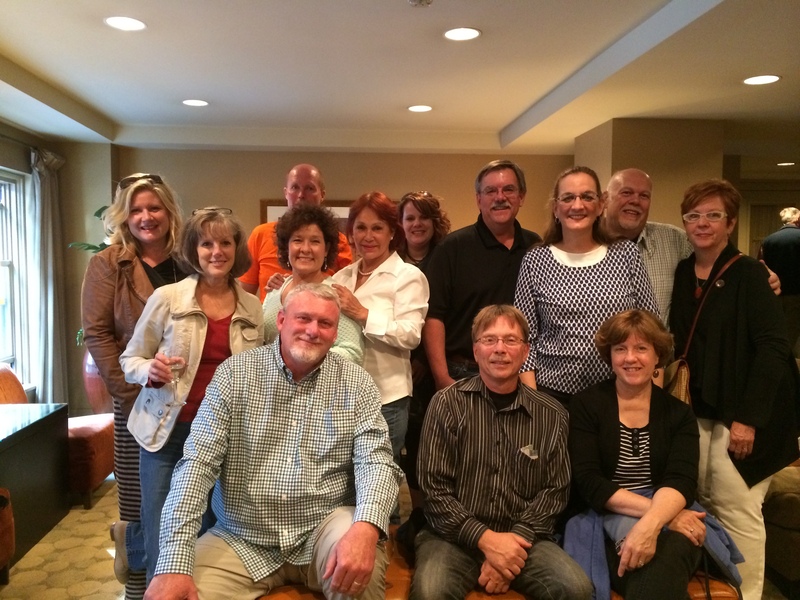 Friends, Debbie and Ray Story (top right in photo) surprised me at the hotel, I had no idea they were coming. All the way from Tennessee! Others were from CO, OH, IN, TX, and CA. Thursday evening, we ate at The Purple, Seattle. 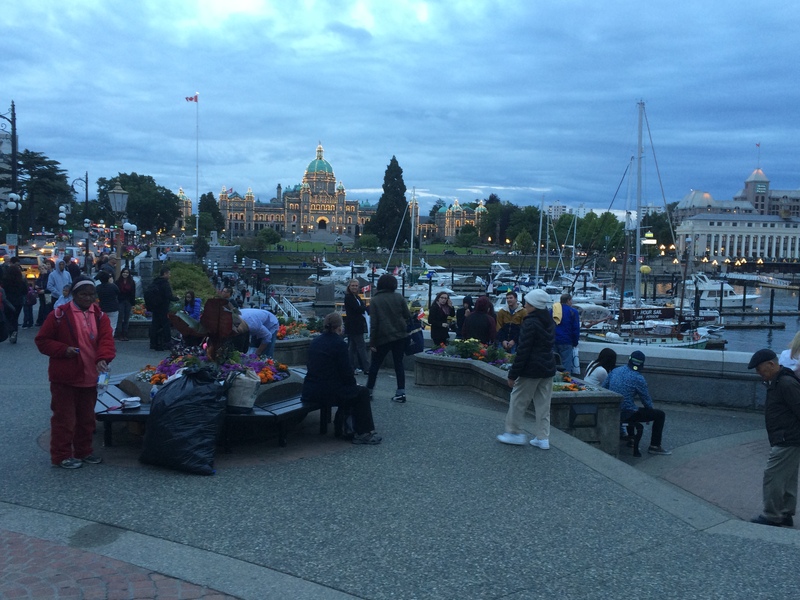 Friday, many went on the 3 hour tour of the city, while others went off on their own. 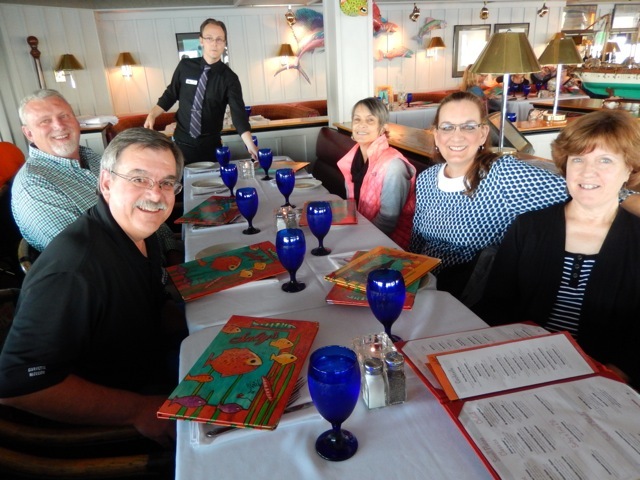 Friday evening, we gathered at Salty’s and enjoyed the view of the harbor and mountains. 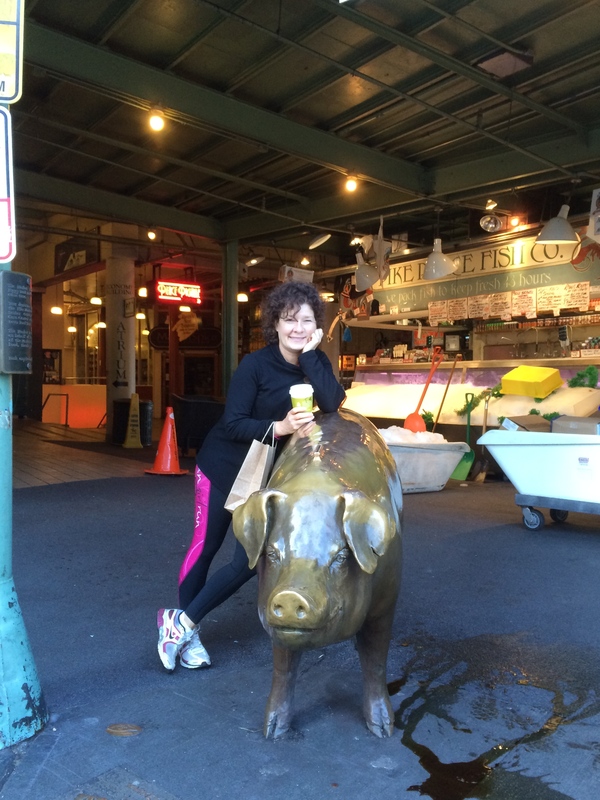 Holly at Pike Street Market….original Starbucks after a power walk through town. 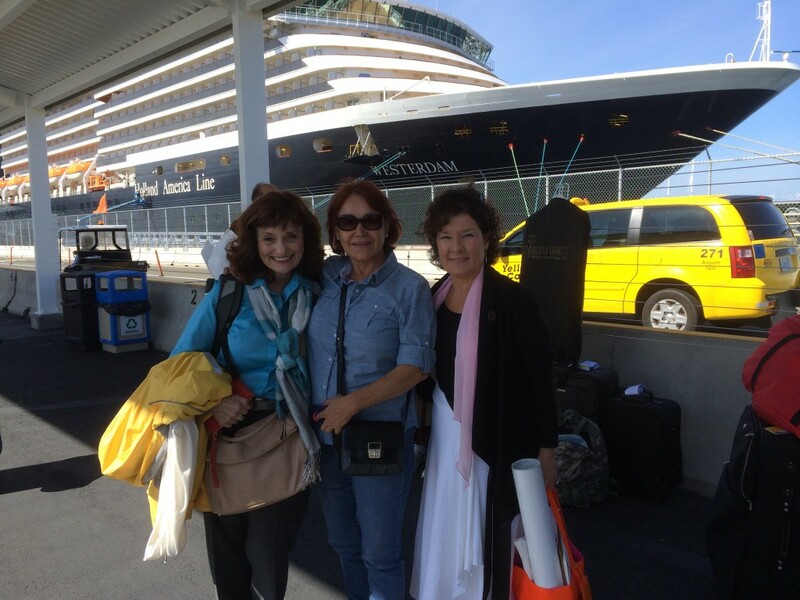 Saturday morning, we boarded the ship for our week long adventure! 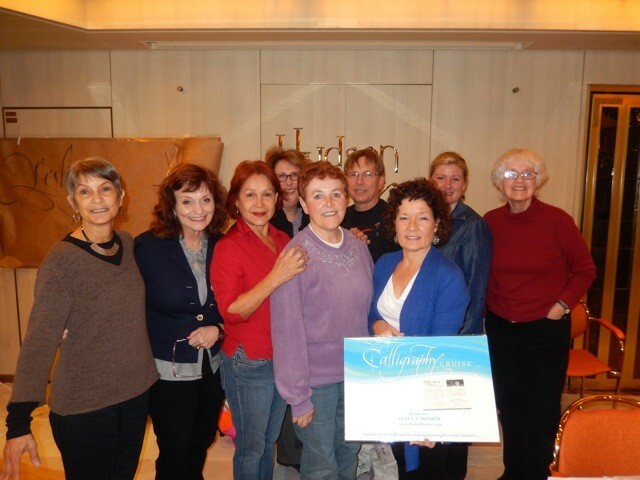 Our calligraphy/decorative painting class was a serious 20 hour focus. Weather this week was a little cloudy and chilly, was a perfect excuse to be creative! 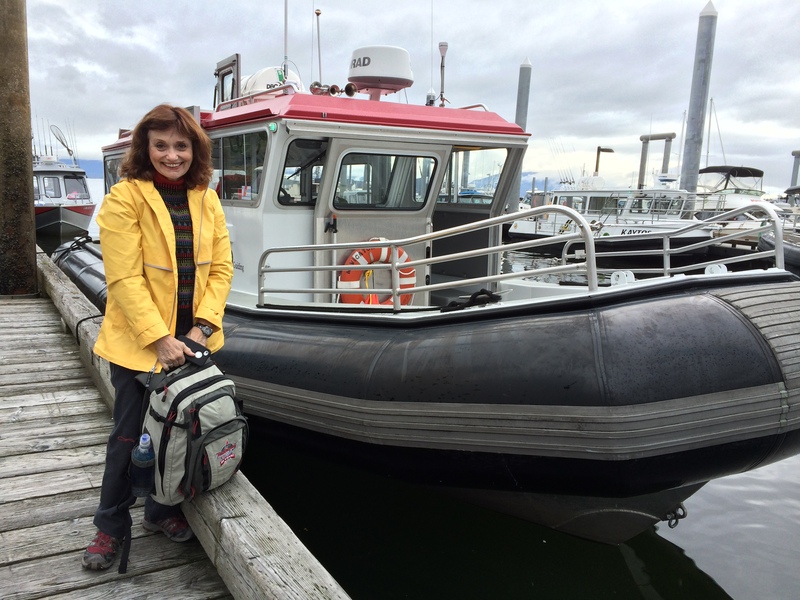 The classroom, lined with windows allowed us to view the Alaskan landscapes as we worked. Here is Gary Lord showing Marilyn a painting technique. One half of the classroom! The windows in the room gave us a perfect view of the scenery. 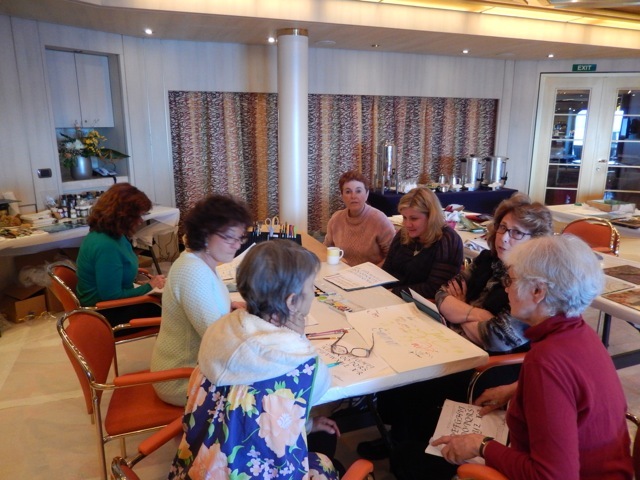 Holland America provided us a beautiful classroom for the week. All of our supplies could be left there nightly. Daily, they provided us with coffee, tea and cookies. There was a Chocolate Beverage bar out the back door! 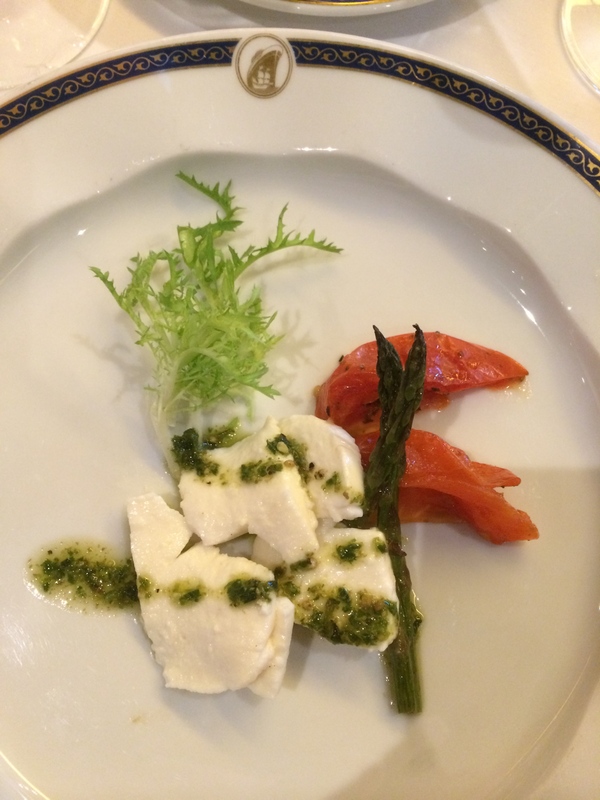 Those of us who signed up early for the cruise had a $50 per day credit for beverages of any type! We were well hydrated! 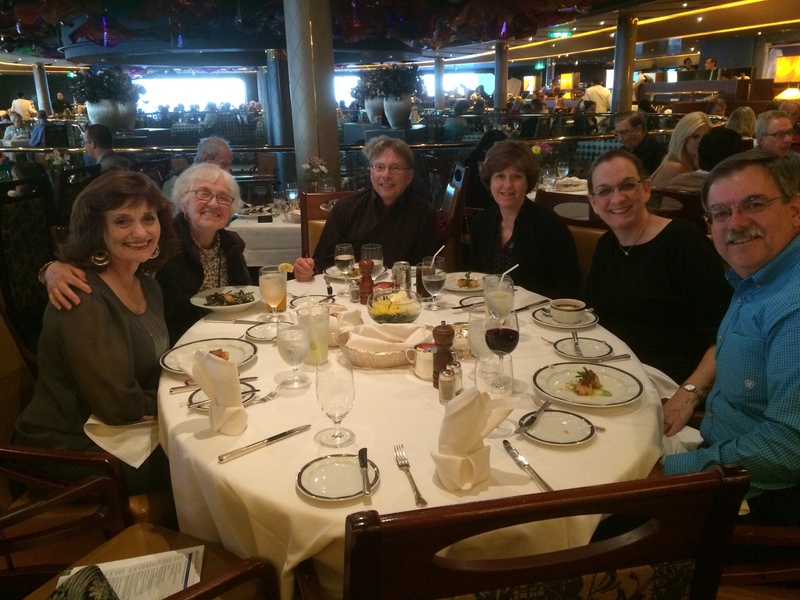 As promised, everyone was able to enjoy all of the towns and excursions as the ship docked. 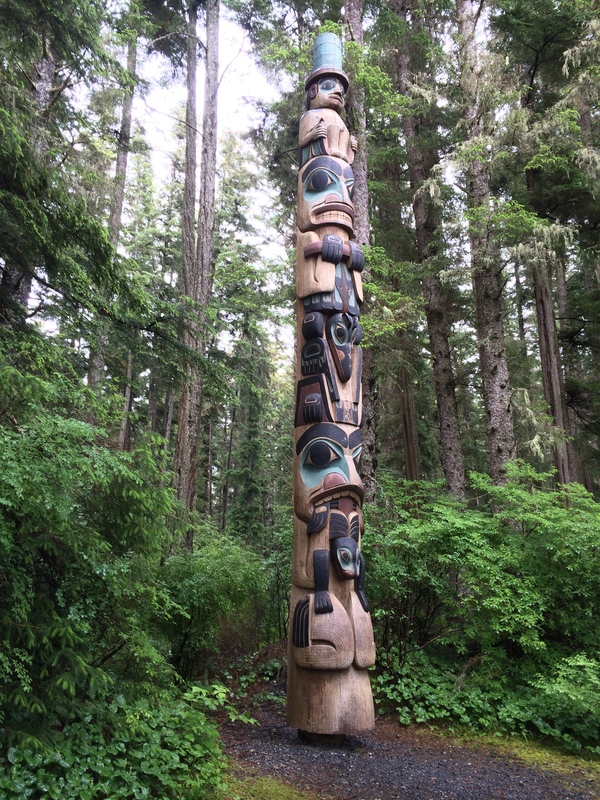 Our first town was Juneau, Alaska where many went whale watching and hiked to the Mendenhall Glacier. 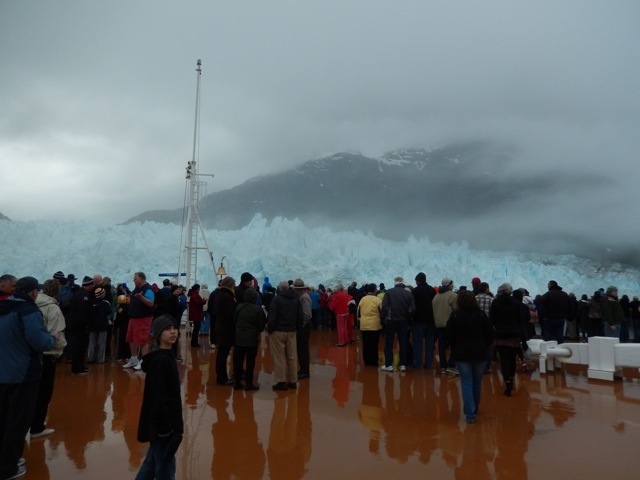 Here we are on the ship’s deck checking out Glacier Bay…. 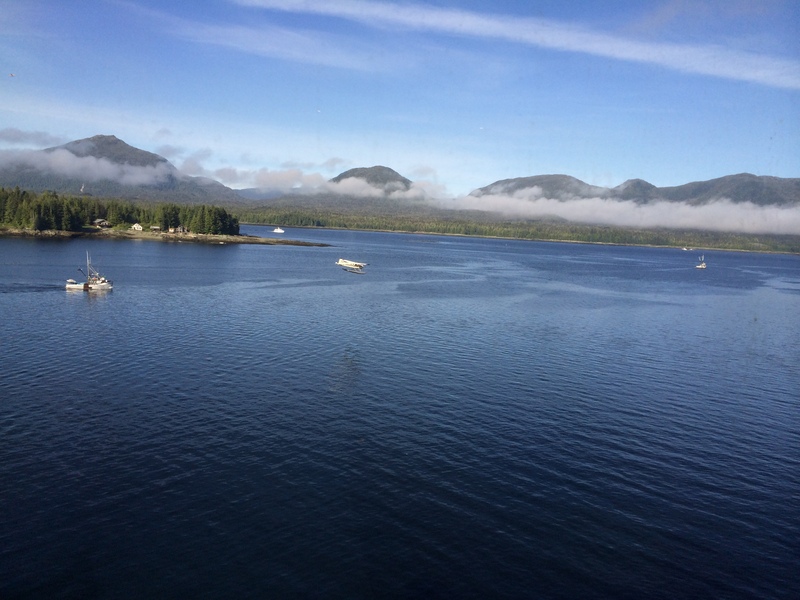 This was out of the Lido window as we overlooked the Ketchikan skyline. Can you see the sea plane landing? Such a beautiful sunny day…. 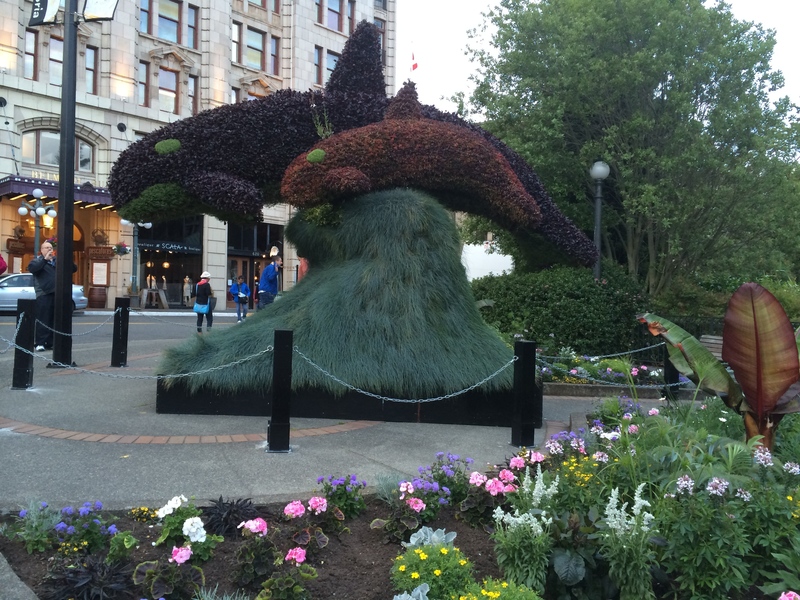 And then there was an evening in downtown Vancouver, British Columbia. Took a water taxi over to the main part of town! 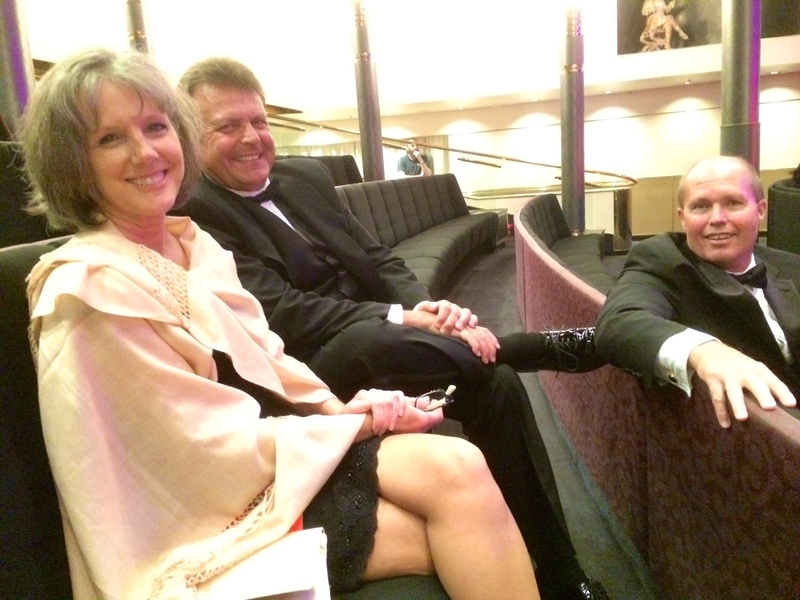 Such fun….